You have gorgeous trees on your property that you have cherished since the first day you moved into your home. Over the years, they have grown and changed just as you and your family have, providing the beauty, comfort, and shade that has served you well. Recently, one or several of the trees have not looked so good to you. It could be from recent storm damage, a pest infestation, or just that the tree has become unhealthy. Whatever the reasons are, you think it may be time to do something about it. As much as you may want to leave it, tree removal in Woodland Hills can be essential for your home right now. A tree that has suffered physical damage from a storm can put you in a dangerous position. The tree may no longer be stable in its position, making it a threat to your home, property, and family. Another storm could easily be the tipping point needed to bring the tree, partially or wholly, crashing down where it can cause great damage. You are much better off having the tree removed safely before it can cause property damage. Tree removal in Woodland Hills can be a necessity for you if your tree is infested or has become diseased. Trees in this condition will also suffer physically and can die from either problem, but they can also pose a threat to the other trees on your property that may currently be healthy. The disease can spread to other trees and cause them to suffer the same fate. Infestations of insects or other pests can lead to greater numbers infesting themselves in other trees in the area or even in your home. Getting the initial tree removed can help to stave off further difficulties for you. 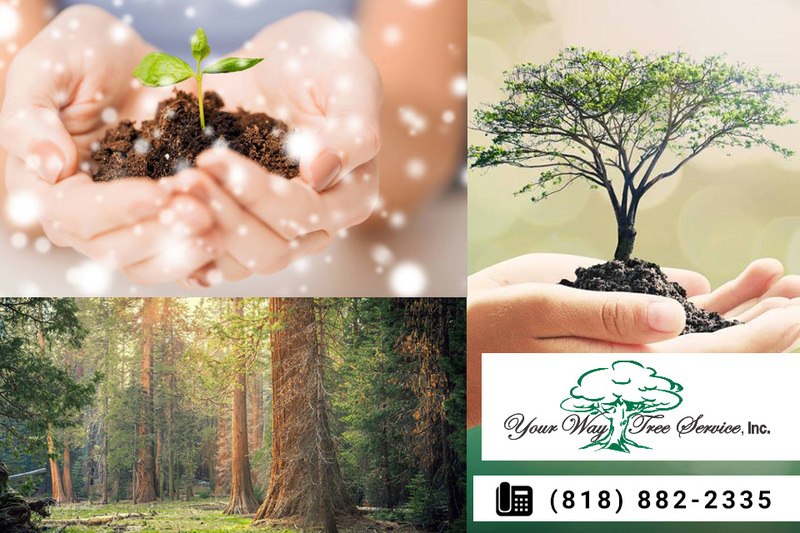 When you need tree removal in Woodland Hills on your property, make sure to phone us here at Your Way Tree Service, Inc. We are an expert tree service in the area and can provide you with the best evaluation and recommendations for your trees. We use the best equipment and technicians so that we can safely remove a tree for you. You can call us at 818-882-2335 to arrange for a service call so that we can come out, examine your trees, and offer the removal you need to keep your home safe.